Complimenting With A Hop, A Skip, And A Jump! I'm not sure why, but kids have the hardest time giving and receiving compliments. Many refuse to believe that people really do think that they are kind, helpful, good at something, pretty. . . the list goes on. So, guess what we worked on today? Giving and Receiving Compliments! I looked online for some resources and I came across this blog, People Are Nice. They have an entire page devoted to compliments. I also used this facebook post from Lisa's Counselor Corner, where she posted some really great suggestions on giving girls compliments on things other than beauty. 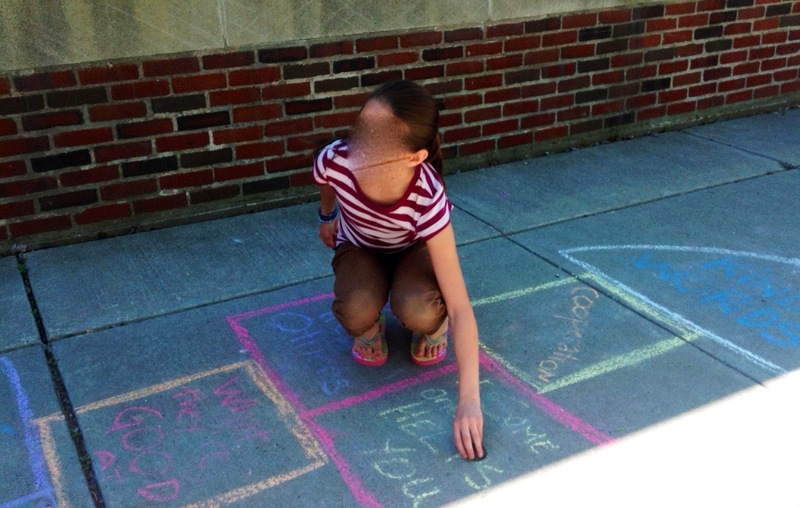 Lastly, I looked for childhood favorite games and found a hopscotch game on the PSR Gathering site (here are the rules). When the kids came to my room for Lunch Bunch, I told them to eat quickly so we could go outside. While they ate we talked about how it felt to receive a compliment. Everyone agreed that compliments should be sincere, and that they can really brighten up someone's day, help to solidify a bond, diffuse stress, and validate our efforts. 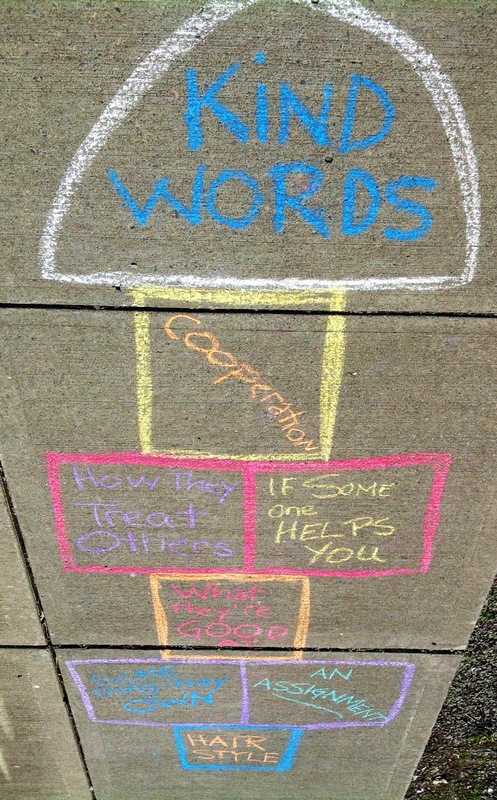 We also talked about how we should give a compliment like we would a gift, expecting nothing in return. It is appropriate, however, that after we receive a compliment we should acknowledge its receipt with a "thank you." After the LBers ate we headed outside to play. 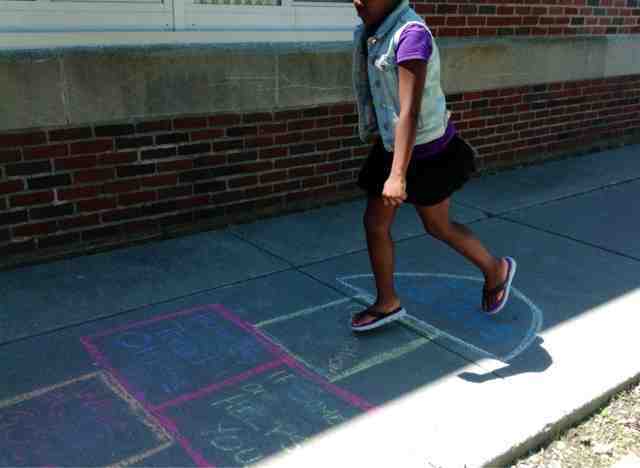 Below you will see our hopscotch board and several of the kids playing. We played by having the students pay one person a compliment that their rock was on. The person receiving the compliment also needed to respond with "thank you." I even received a compliment. "Mrs. Miller, you are always kind to us." I love this idea! I plan to use it in our Sunday School kids program where we are studying the friendship between David & Jonathan! Thanks for posting! Thanks for visiting my blog. I hope your Sunday School kids have a blast. It's so easy and inexpensive. . .two of my favorite things!